What is the Definition of a Modern Modular Home? 20 Aug What is the Definition of a Modern Modular Home? In school, you probably learned the importance of defining things correctly. For instance, all squares are rectangles, but not all rectangles are squares. If you treat all rectangles as squares, you can quickly mess up a math problem. This analogy definitely applies to the modern modular home. Many people confuse themselves when defining a modern modular home. 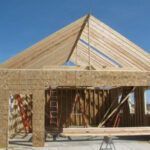 They begin mixing it with other terms we often use, such as “prefabricated home” and “mobile home.” While all modular homes are prefab homes, not all prefab homes are modular. What constitutes a modular home? A mobile home. Mobile homes are assembled off-site and then transported to a property, but they are not the same as modular homes. A stick-built home. This seems self-explanatory, but stick-built homes are built entirely on-location, while modular homes are built in sections off-location. 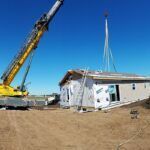 A modern modular home is a home that, generally speaking, looks the exact same as a traditionally-built house, and adheres to the exact same building codes and laws. However, it is built one section at a time, off-property, before being “linked” together at the very end. What are the benefits of a modern modular home? A modern modular home generally takes 3 or 4 months to complete, while a traditional home runs about 8. That’s half the time! Working alongside your custom home builder allows for more communication and trust. Our builders value your opinion; your home, your rules. By assembling sections off-location, builders can reuse supplies rather than throwing them out. This cuts down on construction waste, which, in turn, lowers your bill. Tired of cookie-cutter houses? Building the non-traditional way allows you to choose your modular home floor plan and design your home exactly the way you want it. Because modular homes are built in pieces and then attached together, this makes it easy to add on rooms in the future. Fear not; modular homes are under the exact same building ordinances as stick-built homes. Safety is a priority, and so are building measurements. After all, if the measurements aren’t perfect, the rooms will never “attach” at the end of the process. This ensures that your modern modular home is as safe as the city and your custom home builder can make it. 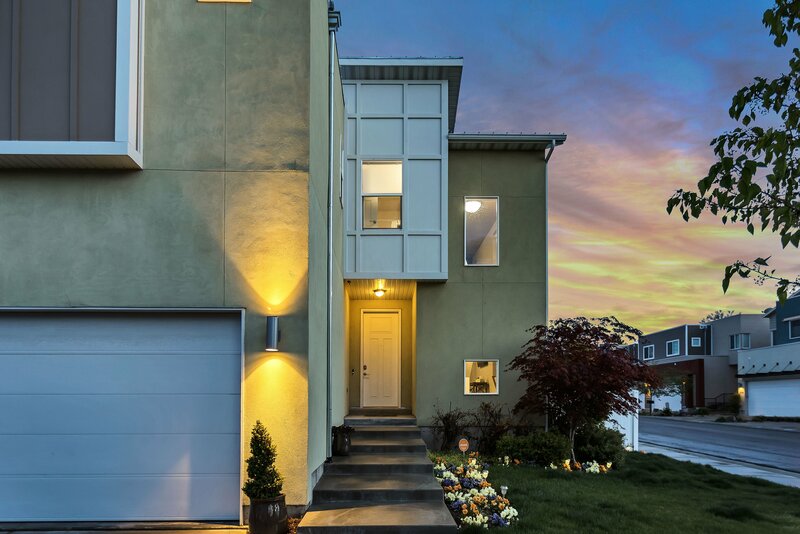 A modern modular home is a great investment that comes with a long list of advantages. Hopefully, now that you understand what a modular home is, you are beginning to understand what makes them so beneficial compared to a traditional home. The low price, adaptable floor plan, and custom home builder all make for a worthy homebuilding experience. If you live within 70 miles of Goshen, Indiana, Next Modular can build and assemble a customized modular home on your building site. Select one of their hundreds of modular home floor plans and call Next Modular to find out how you can customize it into your very own dream home.